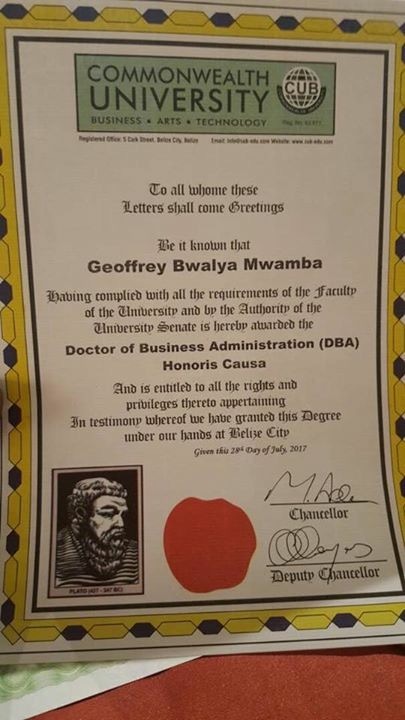 UPND Vice President Geoffrey Bwalya Mwamba has been awarded a doctorate degree in Business Administration from Commonwealth University. 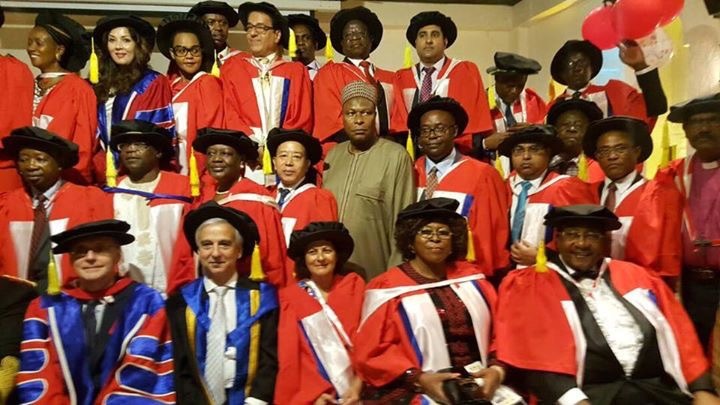 The degree was conferred to GBM during the 15th Dubai leadership Summit held Arabian Courtyard hotel under the theme “Corporate Social Responsibility for Leaders and Managers’. The Summit is initiated by the Commonwealth University and London Graduate School Consortium to serve as a forum to inspire leaders exchange ideas and opinions about practical leadership challenges and also to enable leaders to benchmark good practices. Geoffrey Bwalya Mwamba born in 1959 is the son of Zambia’s African Minister of Agriculture Muma Mwamba who later became Chief Munkonge and his mother Grace Chileshe both of Kasama Disrict. GBM is an entreprenuer and businessman who begun his business with a loan borrowed from his mother which eventually grew to create other businesses and investments both local and internationally. He is accompanied by his beautiful wife Chama as they celebrate one of their great achievement in their lives.